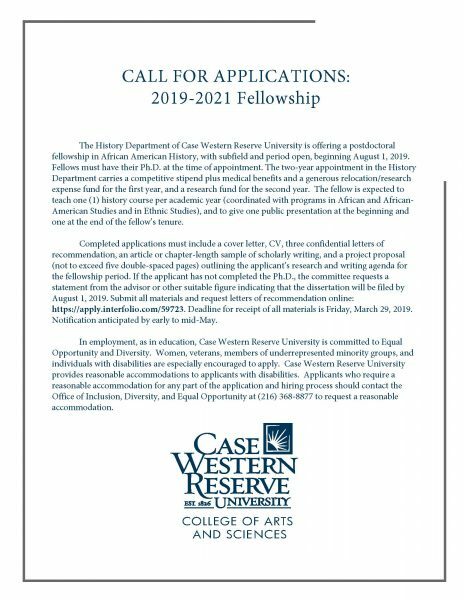 The Department of History is searching for a post doctoral fellow in African American History for 2019-2021. Please click the link below for a full description and link to the application. Application materials are due by Friday, March 29, 2019.